The crash test organized by the Insurance Institute for Highway Safety showed the audience a way to prevent deadly crashes with tractor trailers. That’s a crushing reality for Marianne Karth and Lois Durso. They both have children who died in underride accidents, when their cars hit and got pinned underneath a tractor trailer. Karth and Durso had watched a Chevy Malibu hit the side of a tractor trailer at 40 miles per hour, in a controlled test at IIHS. The Chevy Malibu was stopped by a side guard attached to the trailer known as an “Angel Wing,” manufactured by a company called Air Flow Deflector. Without the side guard, the car would have crashed and gotten pinned underneath the tractor trailer. 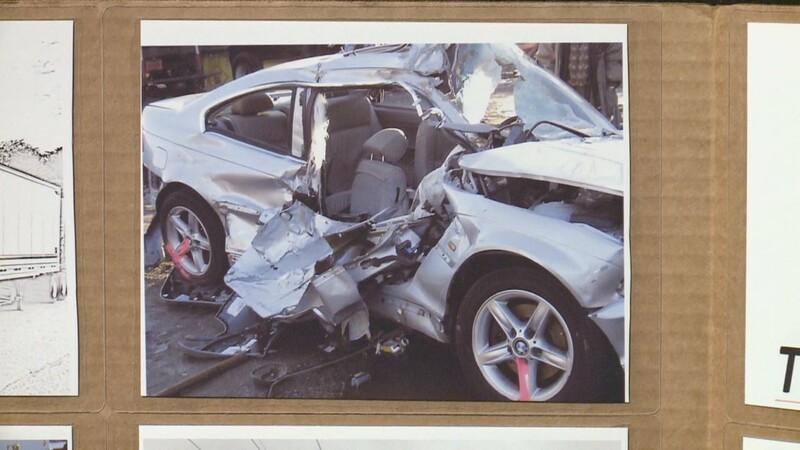 Moments after impact, WUSA9 Investigative Reporter Eric Flack asked Durso: If the “Angel Wing” was used by the tractor trailer her daughter Roya hit, would she still be alive?" Durso, choked up, and couldn’t answer. There's nothing to say when you think what you witnessed, in the crash test, is proof your child didn’t have to die. Sisters AnnaLeah and Mary Karth were killed in a rear underride collision on a Georgia highway in 2013. AnnaLeah was 17 years old. Mary was 13 years old. An underride collision killed AnnaLeah and Mary Karth in Georgia, 2013. The underride guard failed to prevent the car from going under the tractor trailer. 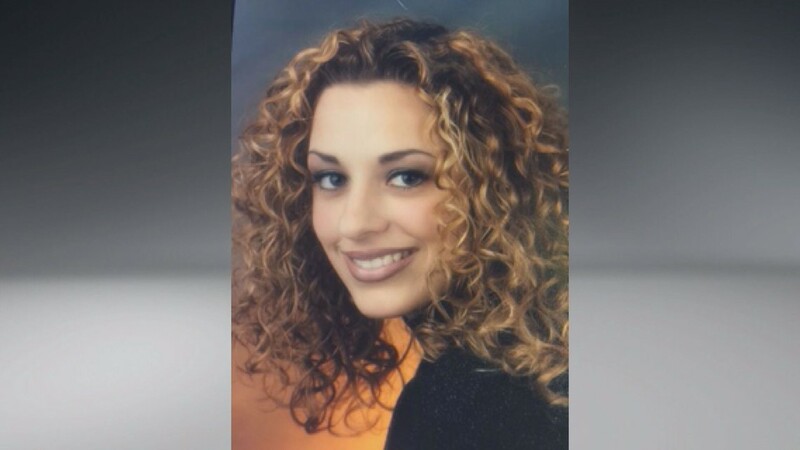 Roya Sadigh, 26, died in 2004 as a passenger of a BMW that crashed on the side of a tractor trailer in Indiana. The trailer did not have side underride guards. Photo credit: Lois Durso. Roya Sadigh, 26, died in 2004 as a passenger of a BMW that crashed on the side of a tractor trailer. The trailer did not have side underride guards. Currently, no laws require side underride guards. Sadigh's mother is trying to change that. Roya Sadigh, 26, died in 2004 of an underride crash. AnnaLeah Karth, 17, died in an underride crash in 2013. Mary Karth, 13, died in an underride crash in 2013. An underride collision killed AnnaLeah and Mary Karth in 2013 in Georgia. The underride guard failed to prevent the car from going under the tractor trailer. “It’s heartbreaking because, between us, we’ve lost our children” said Laurie Higginbotham. Her son, Michael, died in a side underride accident in 2014. “They could have done something to save them,” said Higginbotham. Karth and Durso have spent months lobbying lawmakers on Capitol Hill for new laws that would require side guards and stronger rear guards on all tractor trailers. They believe the new laws would save the lives of hundreds of people who die in underride accidents every year. Many of those grieving families were on hand for Tuesday’s crash test at IIHS, which was part of a truck underride roundtable. It included representatives of the truck trailer industry. For months, WUSA9's Special Assignment Unit had been requesting for an on-camera interview with Jeff Simms, President of the Truck Trailer Manufacturers Association. Simms spoke at the summit. Simms also said the $3,900, 800-pound “Angel Wing” side guards would force trucking companies to remove payload and add even more tractor trailers on the road to make up the financial loss. Simms said that will lead to a rise in tractor trailer related deaths of all types, erasing any overall safety benefit. David Zuby, Chief Research Officer for IIHS, disagrees. “It’s far from clear that requiring this level of protection will lead to such a large increase in truck travel that you wash out the benefits of carrying the protection,” Zuby said. Simms offered his condolences to the families who lost loved ones in underride accidents with tractor trailers. But others said the answer couldn’t be more clear. “But I know because of [the side guard technology] another mother won’t be standing here like we are,” Higginbotham said. 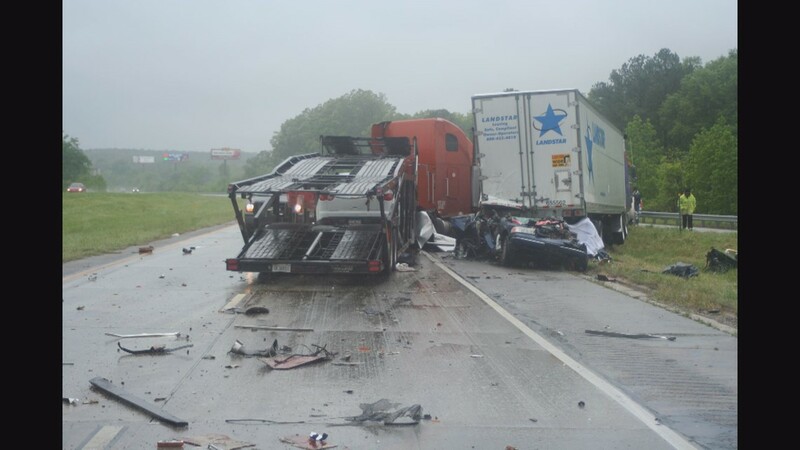 A handful of senators and congressmen have called for new laws that would require side guards, and stronger rear guards on tractor trailers. But the legislation has yet to be filed. Sources say that could happen after Congress returns from its summer recess. Meanwhile, Karth and Durso have drafted their own underride legislation but they're still looking for a lawmaker to sponsor it. It's called the RAMCUP Act of 2017. To read it click here.